January 7, 2018 - PPCTS has installed and commissioned two, side by side, MEGAFOLD 1650SL SC+ Corrugated Specialty Folder Gluers, that also included new inline IMPACK EVERIO STACKING & BANDING Packing systems at a USA Midwest converter. In a continued development, in 2018, PPCTS will be adding to these production lines, new IMPACK Prefeed systems with de-palletizing, as well as a new inverting system for the banding of reversed packets of corrugated and microfluted cartons. Both PPCTS MEGAFOLD 1650SL SC+ are equipped with inline scoring modules for scoring of corrugated boxes. The open design with individually servo driven sections with upper and lower driven carriers and job/memory recall, allows easy operator access for settings and faster changeovers. A handheld operator control, dual pivoting HMI touchscreens, non-proprietary "off the shelf" PLC, electronics and servo drives technologies, servo back folding system, completes a very versatile folder gluer, able to produce complex carton structures, straight line, auto-lock bottom, 4 & 6 corner cartons and more. 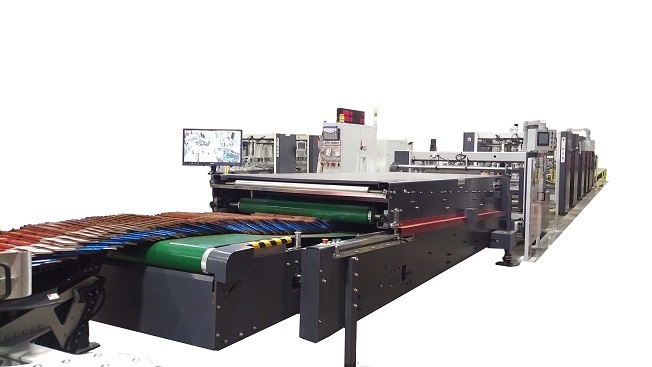 The new IMPACK EVERIO STACKING & BANDING packing system with its multiple packing configurations is well suited for the versatile PPCTS DGM MEGAFOLD line of corrugated specialty folder gluers by increasing the complete line capabilities, reducing labor force requirements and increasing throughput. 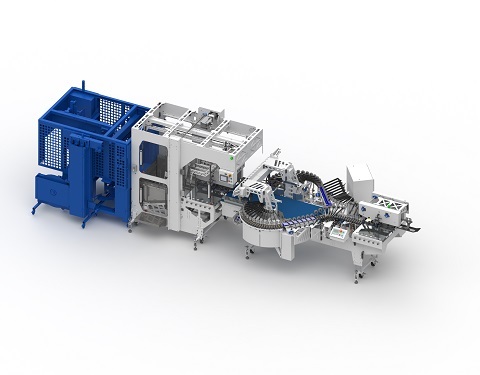 The IMPACK EVERIO stacker/banders are connected inline with both automated and manual palletizing and the addition of the IMPACK Prefeed solutions with de-palletizing in 2018 will make these lines even more productive.